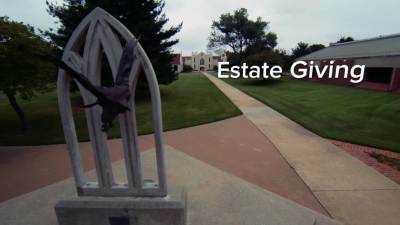 Hear about how estate giving has and will continue to support JBU into its next century. This is really much more than just thinking about charitable gifts, this is thinking about how to be a good steward of both of your life and the resources God has provided for you. The future of JBU will be positively impacted by estate planning that takes place during this campaign. JBU has partnered with Philanthrocorp, a Christ-centered company that helps people think through estate planning from a biblical worldview. People at Philanthrocorp are incredibly sharp and qualified professionals. A relationship with Philanthrocorp is a win-win because it allows a confidential avenue for our alumni and friends to go through to talk about what they want to accomplish in their estate plan. And this estate planning program is to make us an endowed college that will continue to glorify God for years and years into the future. John Brown University wouldn't be where it is today if it wasn't for the generosity of previous generations who supported JBU through their estate plan.